As competition increases in the residential electric supply industry in Maine, the Maine Public Utilities Commission (MPUC) wants to educate consumers about how competition works. How did Maine come to have competition in electric supply? The law that required the restructuring of the electric utility industry in Maine was passed in March 2000. This change provided Maine consumers with the ability to choose their electricity supplier – the company that supplies their electric energy. Until 2000, a single utility company, regulated by the Commission, supplied and delivered electricity. With electric restructuring, Maine began to develop a competitive market for electricity supply. This market developed quickly for larger commercial and industrial consumers, who have several choices for their electricity supplier. Many small consumers, like residential and small businesses, are also now able to choose their electricity supplier. A CEP is a company that supplies electricity to Maine’s residences, businesses and other entities that use electricity. Each CEP is licensed by the MPUC and CEPs compete for business by offering lower prices, renewable energy options, or other incentives. What are the benefits of competition in electricity supply? 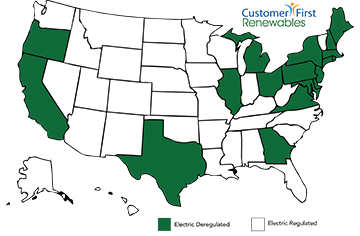 Shifting to a CEP could lower a customer’s rate on the supply portion of their bill or could support other policies (such as developing renewable energy). Why is this information important now? CEPs have recently begun to actively market their service to small commercial and residential customers in Maine. This contact has been in the form of television, radio and newspaper ads, as well as marketing telephone calls. How do customers choose an Electricity supplier? All customers may choose their electricity supplier either by selecting a CEP or remaining on the Standard Offer default service. For a list of suppliers, go to the MPUC’s on-line supplier list at http://www.maine.gov/mpuc/. Customers can compare an offer from a CEP with the Standard Offer rate by reviewing their bills (if they are on the Standard Offer), or by visiting the MPUC’s website to see the current standard offer. Once a residential or small commercial customer has enrolled with a CEP, the CEP is required to provide a “Terms of Service” document to the customer within 30 days. This document is required to contain information relating to price, contract terms, resource mix, and emissions. CEPs are also required to provide customers with the right to rescind the contractual agreement within 5 days of the customer’s receipt of the terms of service document. How can customers make sure they have the electric supplier they want? Consumers should make sure only the provider they have chosen, or the standard offer provider appear on their bill. Read your bill. An important step to catch an unintended or unauthorized electric supplier change quickly is to read your bill thoroughly each month. If you see you are receiving services from a company you have not selected, call that company and tell them you dispute the change of your electric supply service to their company. You should then contact your electric utility or your CEP to ask to be switched back to them. Finally, you can call the MPUC to file a complaint against the CEP that enrolled you without your authorization. What will I pay per “kilowatt hour” (kWh) of electricity? Are there any additional customer charges or other recurring fees? Is this offer a fixed rate offer? If not, how can it change, and how do I find out when, and by how much, the rate will change? Is there a penalty if I break the contract?